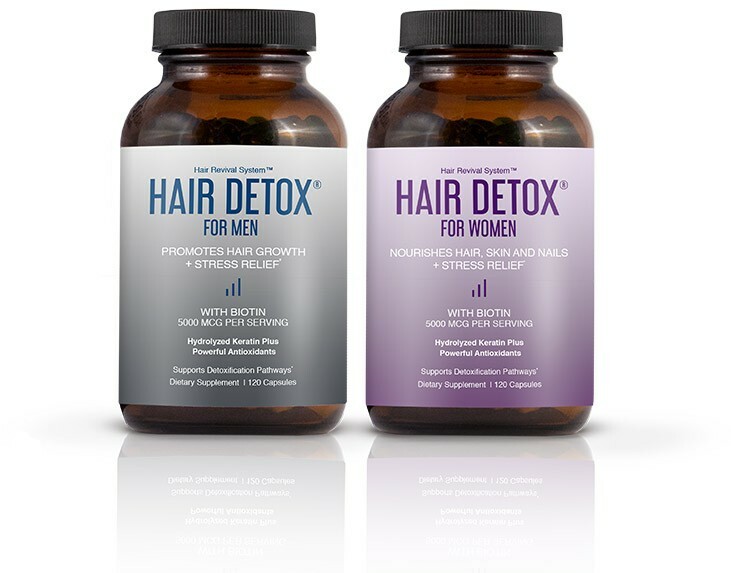 Hair Detox is the only lifestyle hair regrowth supplement that helps combat the most common causes of thinning hair and unhealthy skin and nails, all while helping reduce stress. 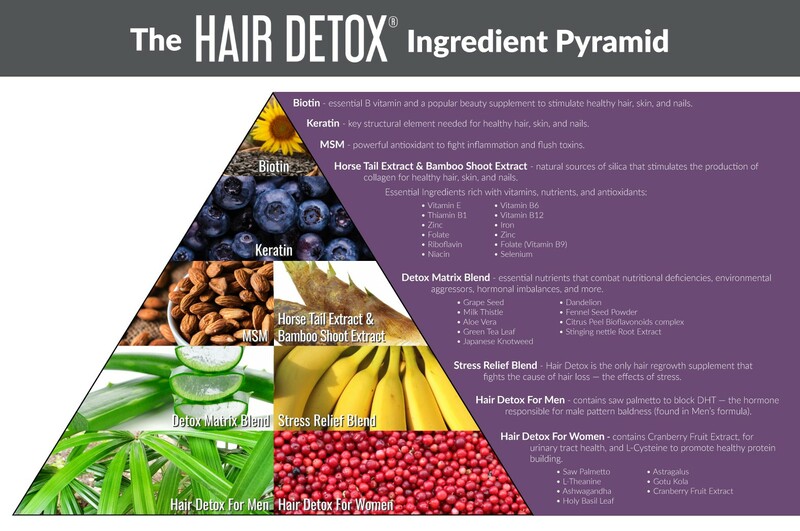 The key ingredients in Hair Detox provide the critical nutrients your body needs for detoxification and support of the body’s natural ability to grow hair and produce healthy skin and nails. MSM or Methylsulfonylmethane is commonly used to help with inflammation. 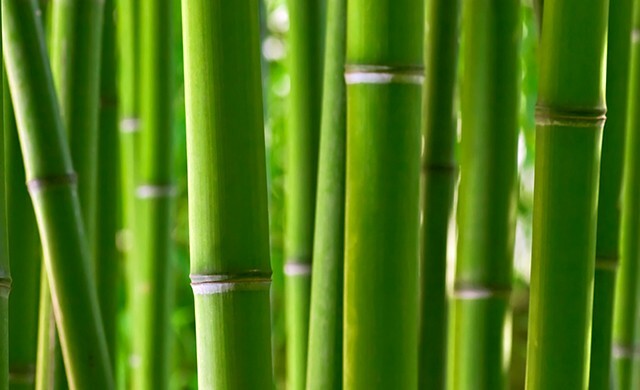 Both Horse Tail and Bamboo Extracts are sources of silica. Silica is essential for the production and maintenance of collagen in the body and for maintaining healthy hair, skin, and nails. Milk Thistle is commonly used for liver detoxification. It might also have a positive impact on helping reduce the symptoms of acne. Grape Seed extract is a powerful antioxidant that is known for supporting cardiovascular health and for its anti-aging benefits. 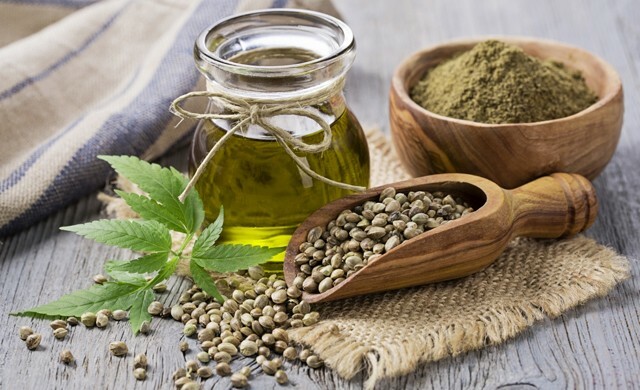 Stinging nettle is known for its anti-inflammatory properties. It aids in reducing inflammation in the scalp and skin. Green Tea is considered a powerful antioxidant. Dandelion root is well-known as a powerful diuretic, which helps with inflammation and the reduction of water retention. Cranberry is commonly used in dietary supplements to help with urinary tract infections and to assist in detoxifying the urinary tract. Aloe helps the body repair dead or damaged skin cells on the scalp. Fennel seed helps strengthen and nourish hair follicles. All are classified as adaptogenic herbs, which are botanicals that are believed to help improve the body’s ability to adapt to stress. Gotu Kola helps strengthen hair follicles and improve skin circulation. Saw palmetto is a natural DHT blocker. DHT is one known factor in hair loss. L-Theanine is a relaxing and non-dietary amino acid that promotes relaxation without sedation and may reduce stress. ** These statements have not been evaluated by the Food and Drug Administration. 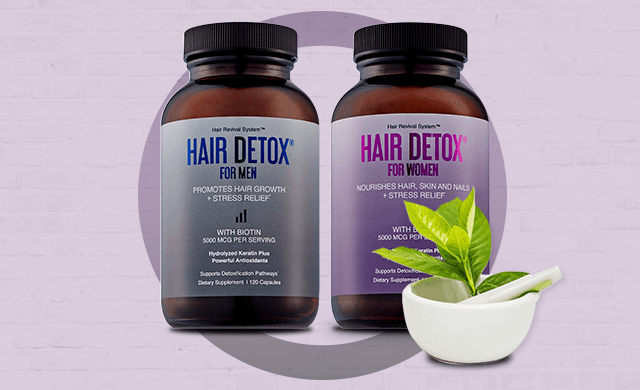 This hair supplement for hair growth product is not intended to diagnose, treat, cure or prevent any disease. Caution: If nursing, pregnant or planning to become pregnant, do not use this product. If you are using blood-thinners, hormones or any other medications, always consult your health care professional before taking this product.